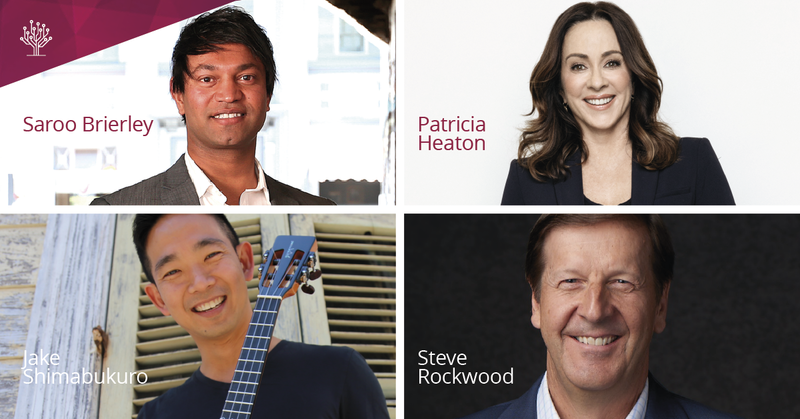 Salt Lake City, Utah (13 February 2019), RootsTech 2019, the world’s largest family history conference, announced its full lineup of keynote speakers and entertainers, including Saroo Brierley, Patricia Heaton, Derek Hough, Jake Shimabukuro, and Steve Rockwood. Fueled by the popularity of DNA genealogy, social networking platforms, and related mobile apps, RootsTech 2018 had over 50,000 in-person and online attendees. Hosted by FamilySearch International, the conference will be held in Salt Lake City, Utah, February 27 through March 2, and select content is broadcast live online. RootsTech 2019 kicks off on Wednesday, February 27, with classes on topics such as DNA research, photo preservation, and using social media to preserve family legacies. Steve Rockwood, CEO of FamilySearch International, will be the featured keynote speaker on Wednesday at 4:30 p.m. mountain standard time. Emmy Award-winning actress Patricia Heaton takes the stage on Thursday to share stories of faith and family. Heaton is most recognized for her role as Deborah Barone on the hit sitcom Everybody Loves Raymond (1996–2005) and more recently as Frankie Heck in The Middle (2009–2018). Heaton is also the author of two books. Her most recent, a recipe book, is Patricia Heaton’s Food for Family and Friends: 100 Favorite Recipes for a Busy, Happy Life, and her humorous collection of essays about life and family, published in 2003, is Motherhood and Hollywood: How to Get a Job Like Mine. Saroo Brierley, whose story is recounted in the international bestselling autobiography A Long Way Home, will be the featured keynote speaker on Friday, March 1. Brierley’s remarkable family reunification story was depicted in the 2016 film Lion. On Saturday, March 2, world-renowned ukulele musician and composer Jake Shimabukuro will take the stage. Shimabukuro’s records have repeatedly topped Billboard world music charts. Shimabukuro will speak about his efforts to honor his heritage through music and will perform live for the RootsTech audience. Derek Hough, professional ballroom dancer and choreographer, will perform during the Friday evening event, Connecting through Music and Dance. Hough is widely recognized for his work on the ABC dance-competition series Dancing with the Stars, where he has won a record six seasons. RootsTech 2019 offers more than 300 classes and activities for families and individuals with varying interests and skills. Select classes will be broadcast live. RootsTech also offers a Virtual Pass, which provides access to additional online recorded sessions from the conference. Learn more or register for the event at RootsTech.org. Do You Remember the Slide Rule?